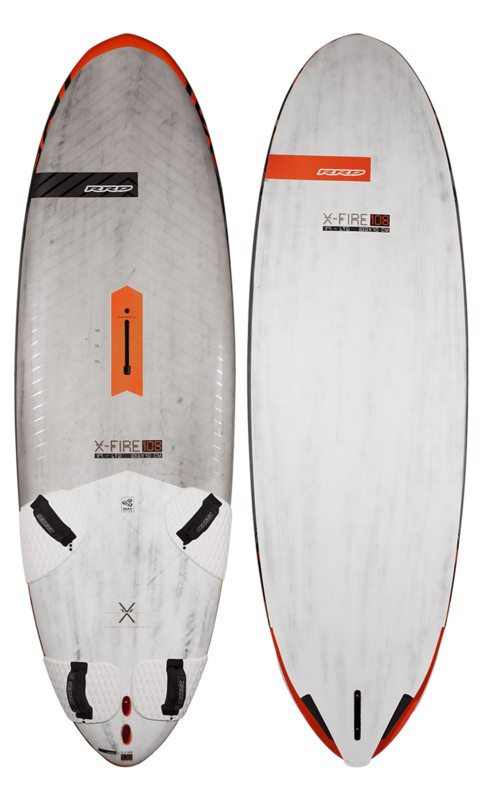 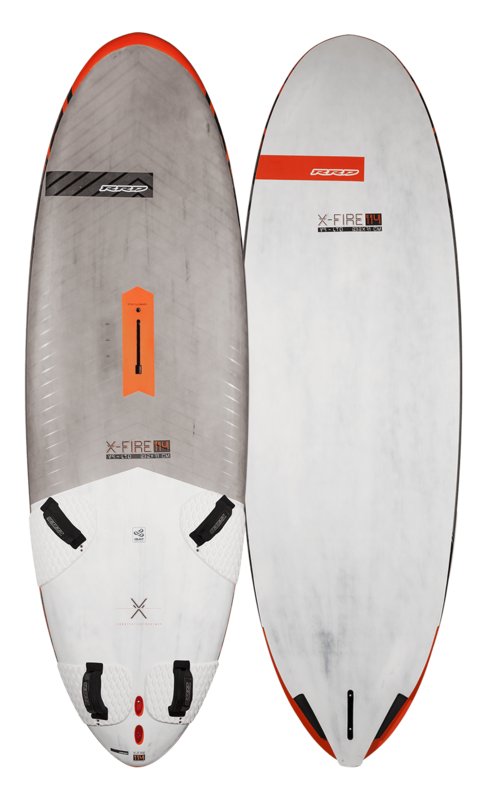 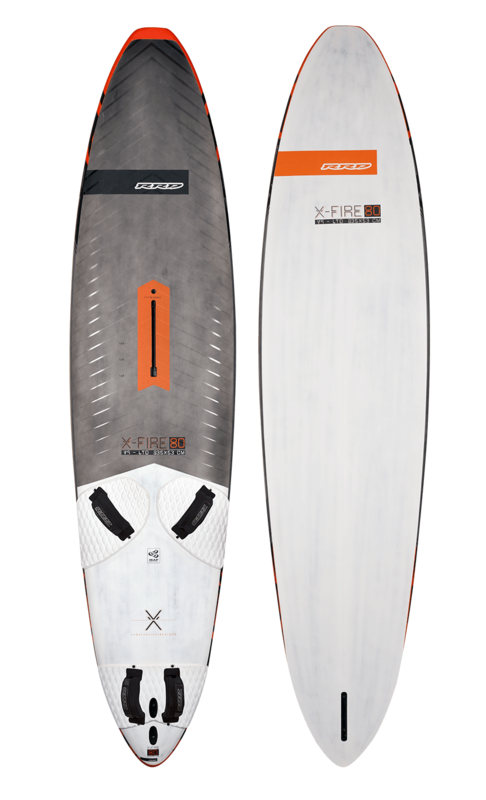 The new explosive X- Fire V9 is born from our endless search for the perfect modern racing machine. 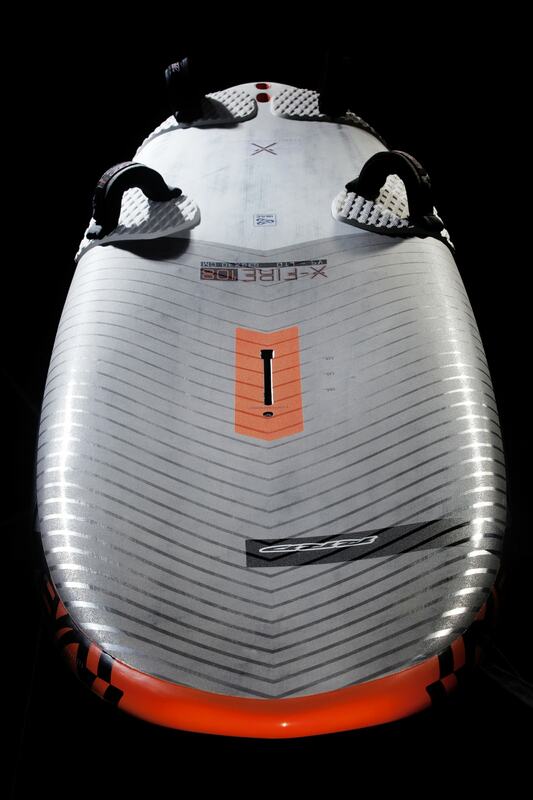 Countless hours of design and testing have been put together yet again by our winning international team in locations all around the world. 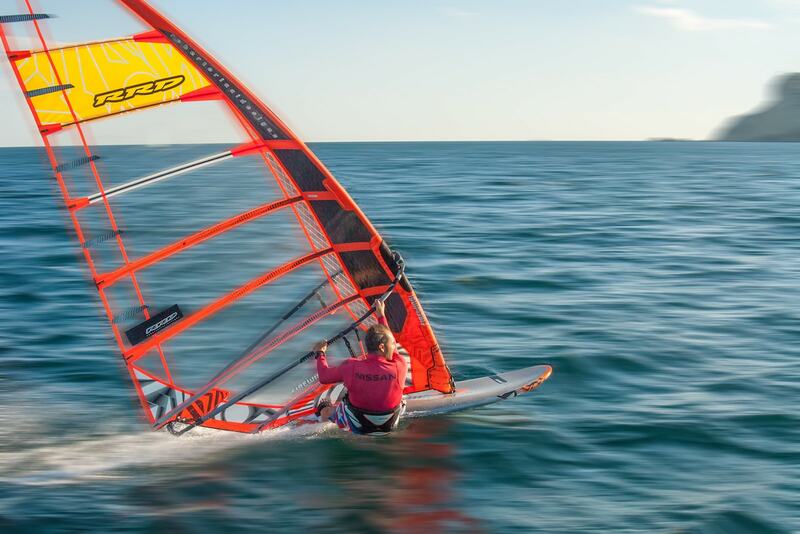 From the high winds and rough waves of Maui, South Africa, Tenerife and Israel to the light winds and flat waters of Lake Garda and Rome. 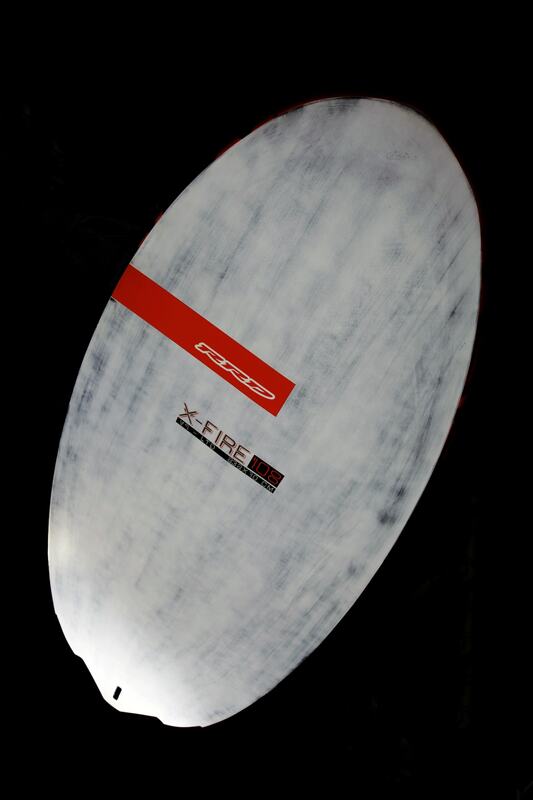 The R&D team led by Arnon Dagan and team mates Andrea Rosati and Enrico Marroti have tested the X-Fires to the maximum. 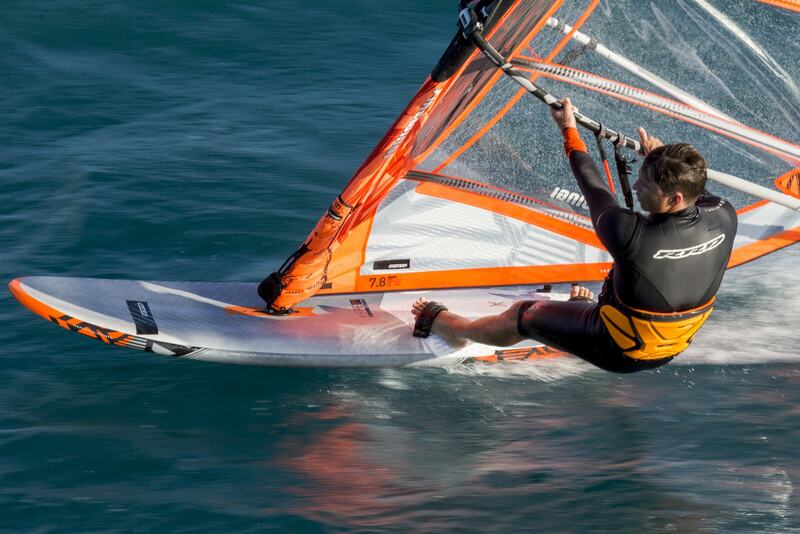 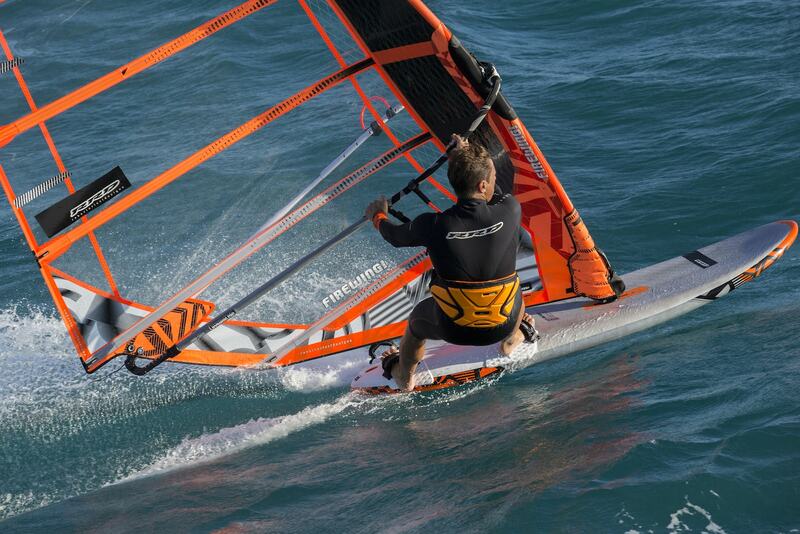 The V9 will most certainly have a thrilling performance on the PWA world tour as its predecessor the V8 had under the feet of Antoine Albeau (23x world windsurfing champion). 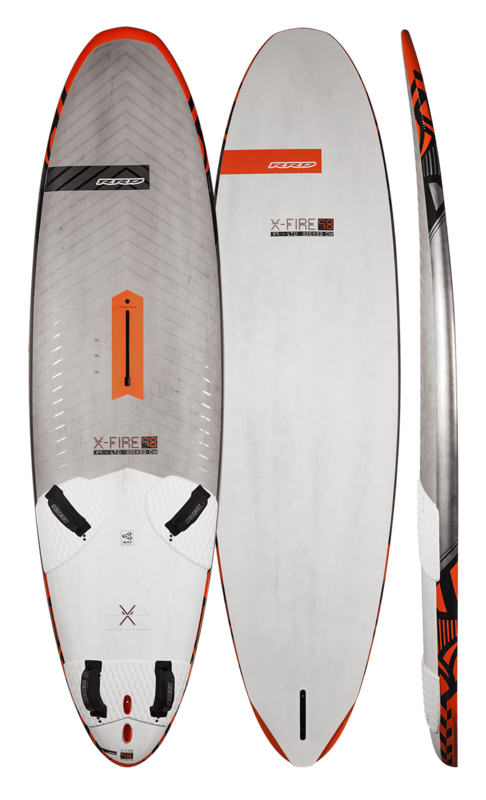 For the V9 series we present x5 completely new designs. 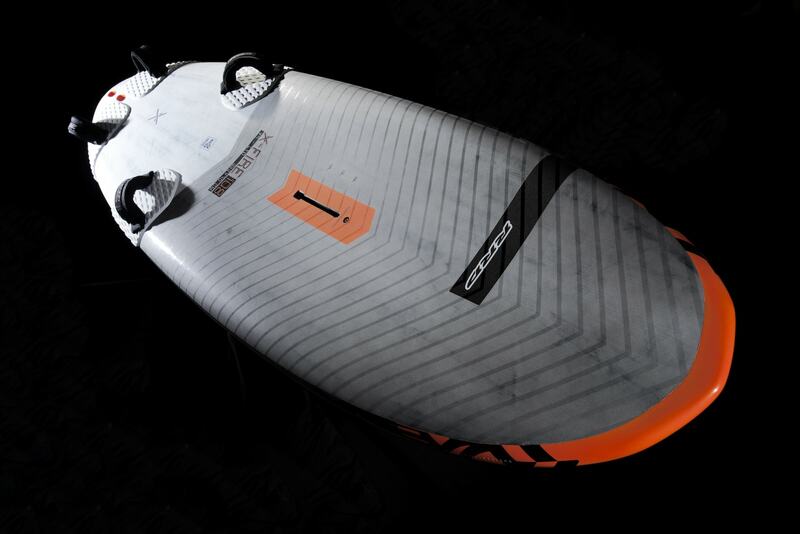 The goal of foreseeing the ultimate winning needs of the modern racers was achieved yet again!! 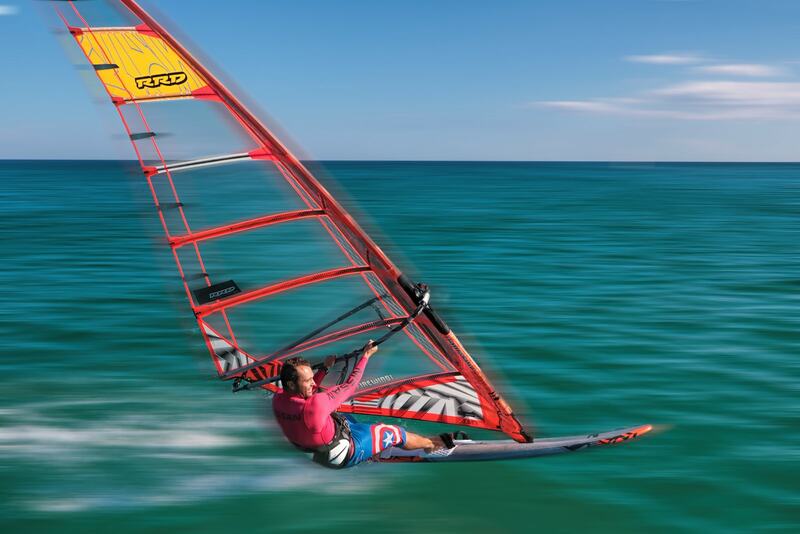 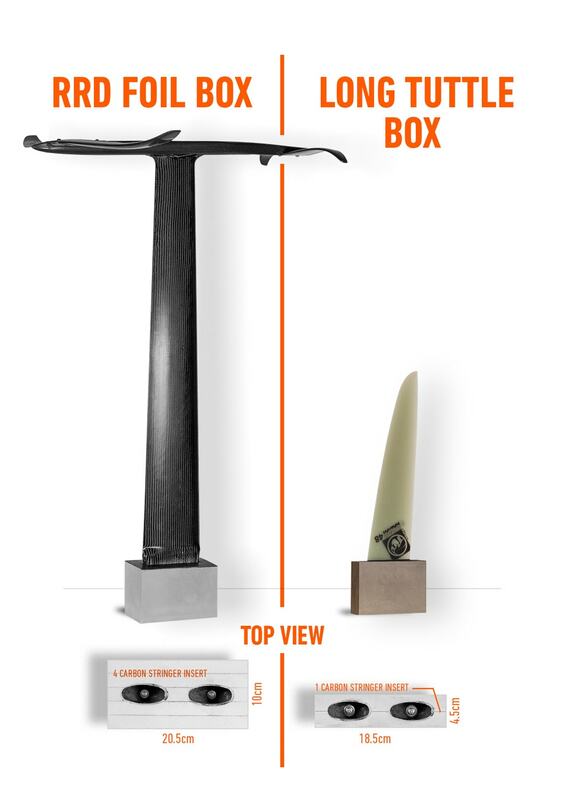 The V9 is faster, easier, has a bigger wind range and a smooth tight jibing radius that allows a fast exit out of the jibe. 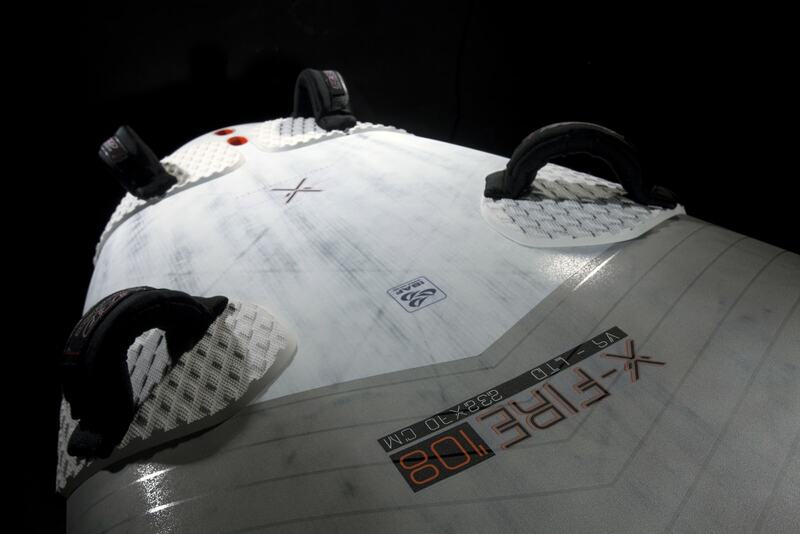 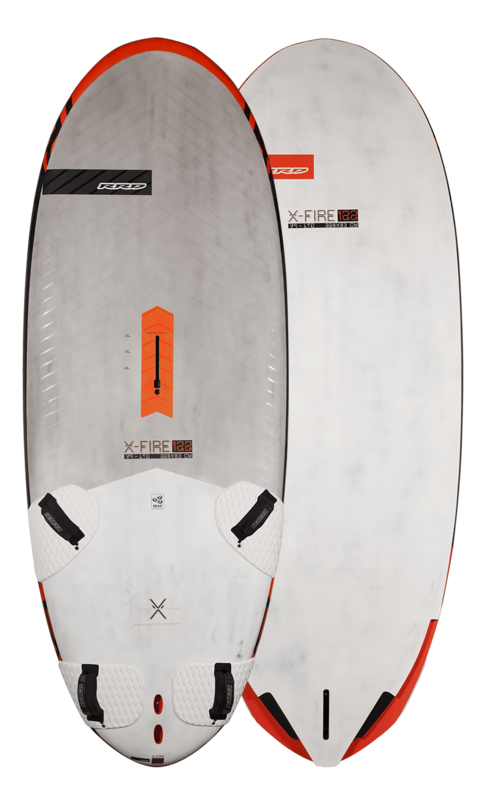 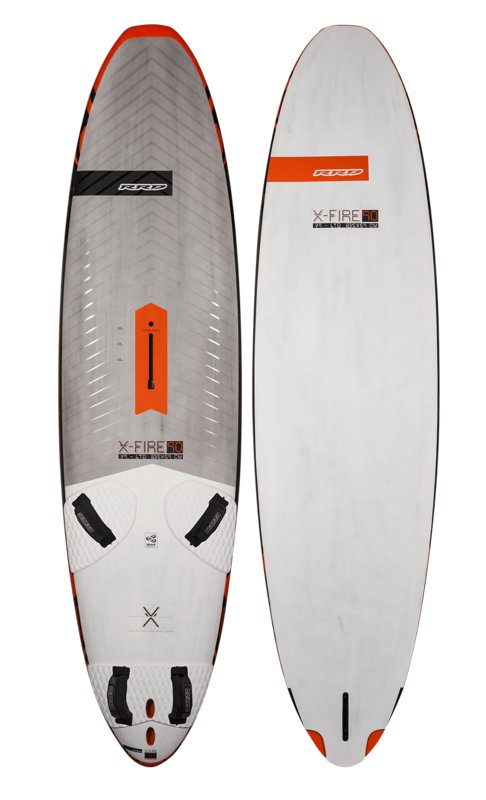 The new innovative cut outs of the V9 will prove this board has what it takes to be the best and stay the best.